Having a geographical area of 1759 sq km, the Jagatsinghpur district is the smallest district in Odisha in terms of territorial location. This district has got a total population of 11,36,604 including 577,699 male and 558,905 female as per 2011 census. The total SC population of the District is 2,228,79 and ST population is 8640 as per 2001 census. The average literacy rate of the district is 79.08 percent comprising of 88.55 percent male literacy rate and 69.28 percent female literacy rate. 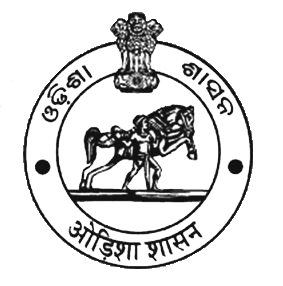 Jagatsinghpur District has only one subdivision namely Jagatsinghpur. There are 8 Blocks, 8 Tahasils, 1320 villages, 194 Gram Panchayats and 13 Police stations functioning in the District. Jagatsinghpur District enjoys a temperate climate. Winters are cold, while summers are hot and humid. The District is prone to cyclonic rainfalls during the monsoons. The maximum temperature of the District is 38 degree C and minimum temperature is 12 degree C. The average rainfall measured in the District is 1765.1mm. The District is packed with many attractive places such as Paradeep Port, Paradeep, Paradeep Garh, Sarala Temple-Jhankad and Garh Kujanga are some of the visiting places of the District. Gorakhanath Temple is one of the most attractive temples of the District. Jagannath Temple of Garoi is also a famous tourist spot visited by a large number of people from the world. Jagatsinghpur District ranks first in the State by achieving 88.96 percent male literacy rate according to the latest census of 2011, and second in female literacy rate with 69.94 percent after Khurda District. Swami Vivekananda Memorial (Autonomous) College, Jagatsinghpur, Adikabi Sarala Das Mahavidyalaya, Tirtol, Sidha Baranga Junior College of Education and Technology Punanga, Keduapada Higher Secondary School Kaduapada, Biju Patnaik (Junior) College Ashrampatna, Swami Vivekananda Memorial (Junior) College Jagatsinghpur, Swagatika College of Science and Education Jagatsinghpur are the famous educational institutes of the District. The District is predominantly agrarian. It has been experiencing natural calamities like floods and cyclones which are major hindrance in the economic development. Apart from agriculture, trade and commerce, transport, storage and communication manufacturing, processing and repairing services engage a major chunk of population in the District. A section of people is engaged in fishing as allied activity. The Major food crop grown in Jagatsinghpur District is paddy. Sugarcane, turmeric and cotton are the major commercial crops. The District enjoys rich fertile soil of the Mahanadi. Soil of Jagatsinghpur District has given birth to a lot of eminent personalities including the first and foremost poet of Odia literature Adikabi Sarala Das, the ex chief minister of Odisha Nabakrishna Choudhury, eminent freedom fighter Gopabandhu Choudhury, the famous social reformers Ramadevi Choudhury and Malati Devi Choudhury, eminent scientist Dr. Pranakrushna Parija, famous Odia novelist Dr Prativa Ray, famous Odia story teller Dr. Bibhuti Pattnaik, Philosopher and writer Dr. Hrudananda Ray are among them.